Launch of the Lizzar Independent Music Store! We proudly present the new Lizzar Independent Music Store. 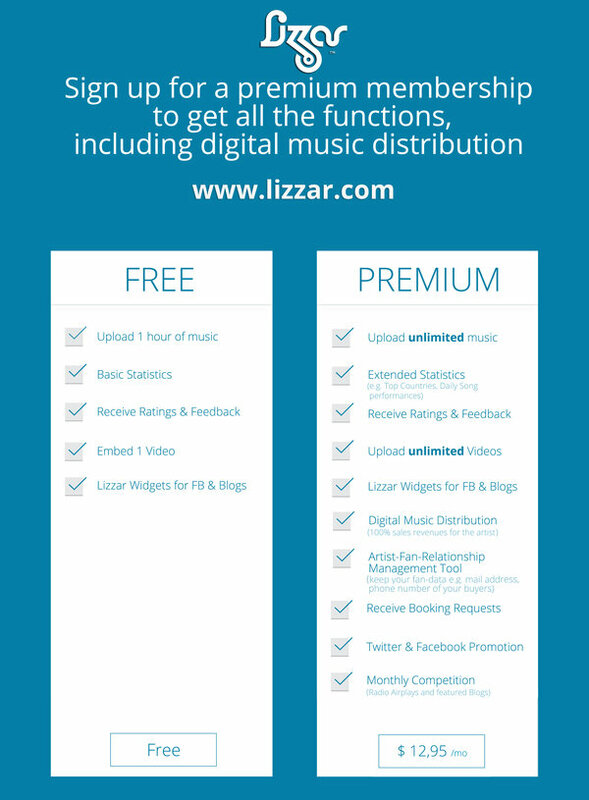 As promised, we founded Lizzar to revolutionize the music industry. We want to treat artists fairly and value their music. We oppose the "1000 streams = 1$" system used by services like Spotify and the constant exploitation and paternalistic treatment of independent artists. It is high time that independent artists received 100% of the earnings because composing, writing, recording, and promoting the songs is their own hard work. Artists should be able to decide for themselves at which price they sell their music. They may either use the suggested prices or simply choose a price themselves. 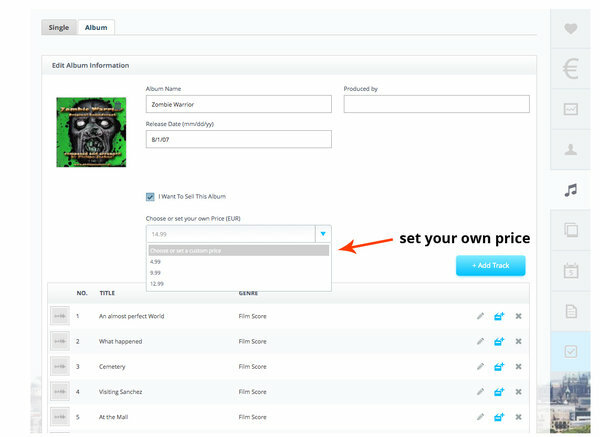 Thus, artists remain in full control of the prices they charge for their music and decide which songs users may steam for free. 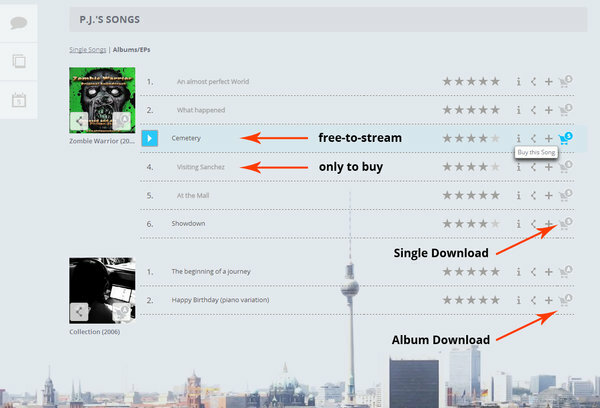 Artists decide which songs they make available for free streaming and which may only be bought. 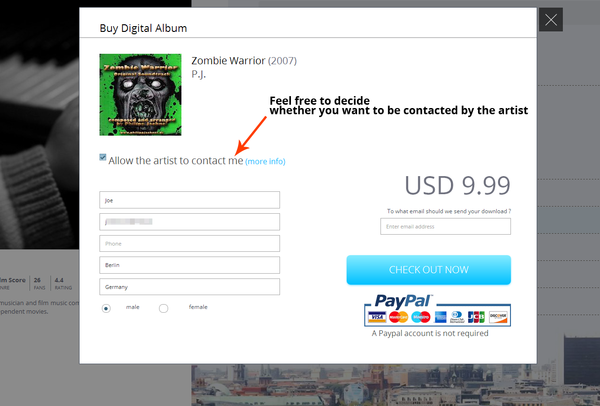 As the picture shows, artists may now use Lizzar to collect fan data, such as email addresses or telephone numbers. In this way, direct interaction between artists and fans is possible, and fans can immediately be informed of new albums and upcoming concerts of the artist. Artists may use this service directly and without any additional costs. (e.g., costs for promoted postings on Facebook). 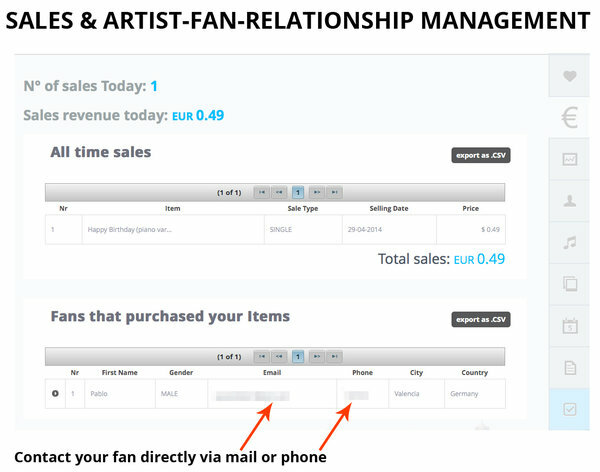 By creating their own fan database, artists can strengthen the relationship with their fans and increase sales over the long term. For the first time, fans are able to send their data to the artists and thus to enable direct interaction between artists and fans. Artists may conveniently download the data as an Excel CSV file and, for instance, use email campaigns to stay in close contact with their fans. Please register in order to see the complete profile of Lizzar.